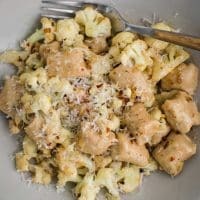 White Bean Gnocchi with Cauliflower and Cream Sauce | Naturally. 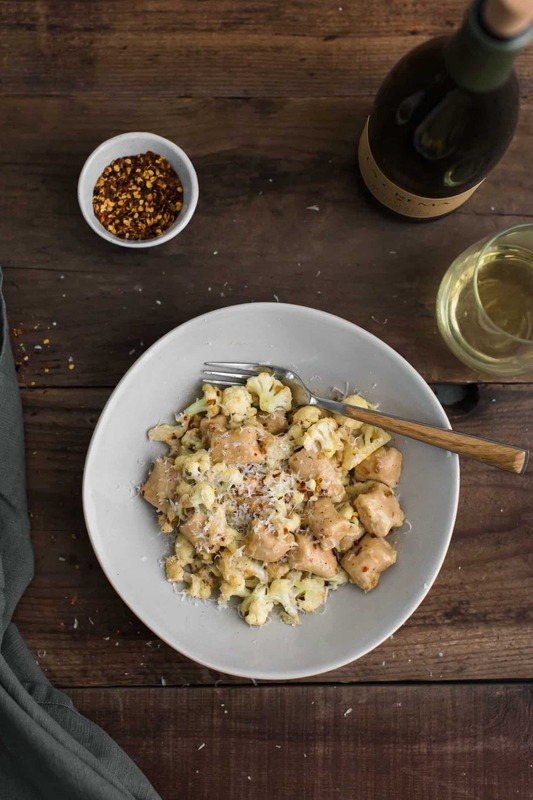 A perfect date-night in meal with white bean gnocchi (made from pureed white beans and flour) topped with an easy cauliflower pan-sauce with chili flakes. In a food processor, combine the white beans in a food processor with 2 tablespoons of the reserved liquid. Puree, adding more liquid, until the white beans are smooth. Add in the egg and salt, pulsing until the egg is well incorporated. Continue to pulse and add ½ cup of flour. Add more flour as needed until the mixture forms a soft dough (the dough should still feel be tacky, just use more flour on your hands and surface). Place onto a surface covered in flour. 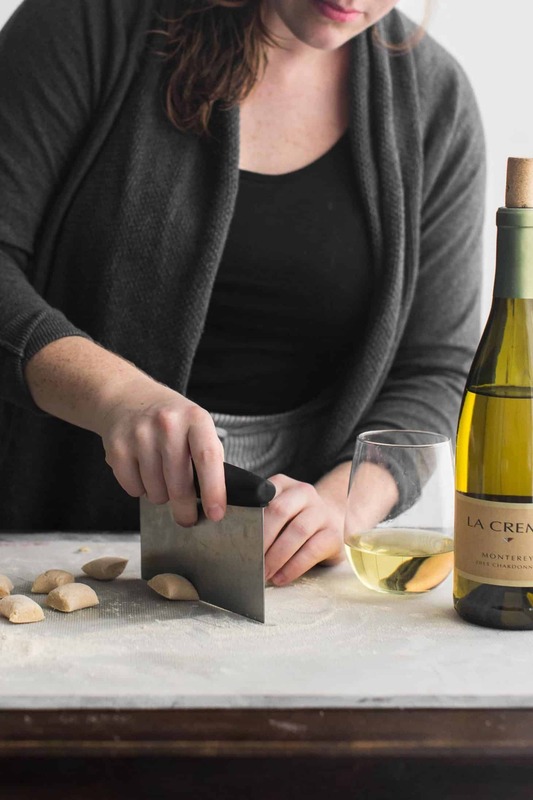 Divide dough into three balls and roll each out into 1″ ropes and cut gnocchi 1″ at a time. Bring a large pot of salted water to a boil. Place half the gnocchi in the boiling water and let cook for 5-6 minutes. Gnocchi should be tender and cooked through. Spoon out the first batch and add the second half of the gnocchi. Cook until tender. 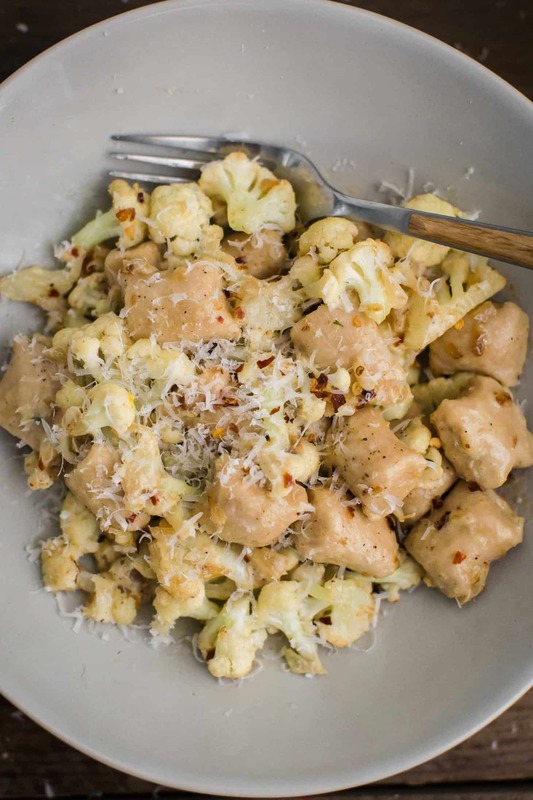 While the gnocchi are cooking, make the cauliflower sauce. In a large skillet, melt the butter over medium-low heat. Add the minced shallots and cauliflower to the pan. Cook until the cauliflower begins to brown, 8 to 10 minutes. Stir only a couple times to ensure a nice caramelization. Once cauliflower is tender, reduce the heat to low and measure in the cream, thyme, and chili flakes. Simmer until the cream thickens slightly, 3 to 4 minutes. Stir in the parmesan, salt, and pepper to taste. Divide the gnocchi into four bowls and top with extra thyme and chili flakes as desired. 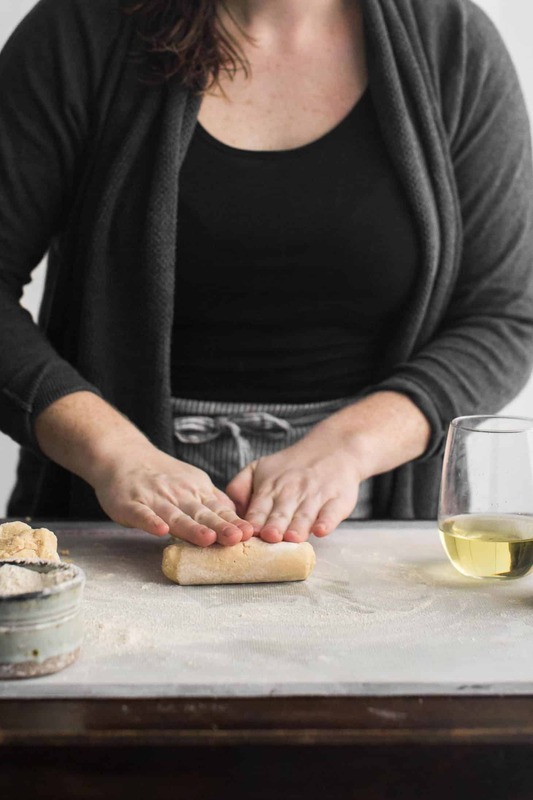 Tips & Tricks: Getting the right consistency for the gnocchi is key- extra flour means a denser bite. You want the dough to come together but still have a bit stickiness to it. 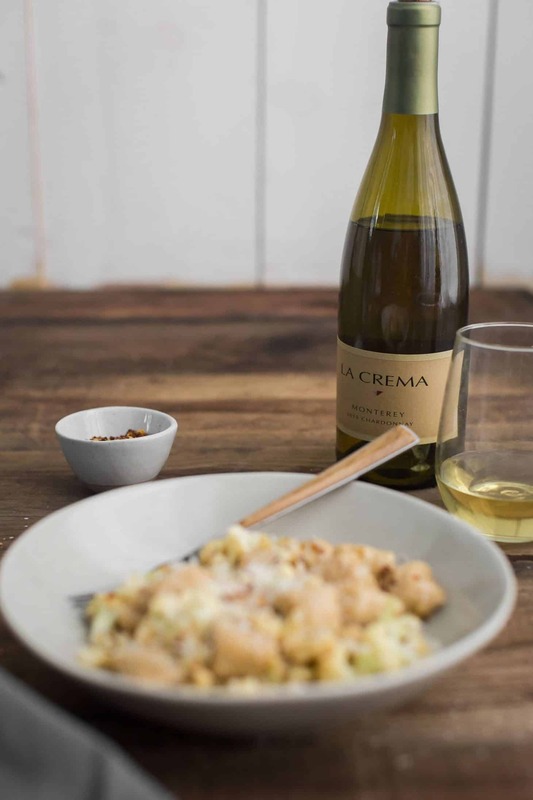 Look for vegetarian-friendly parmesan that uses microbial or vegetarian rennet. I love this white bean gnocchi because the core of the recipe is a few simple ingredients. From there you can switch up the sauce and the vegetables and have endless meal combinations. A few of my favorite include roasted brussels sprouts and a cream sauce, a homemade roasted tomato sauce, or a butter sauce with grilled zucchini. Mushrooms: I’m not a big mushroom eater but my husband loves them. So I created a mushroom variation for the La Crema blog. You can pop over to their site to see the mushroom sauce. Vegan: A bit tricky but could be done. Leave the egg out of the beans and simple use the bean mix with flour- the result will be a bit denser gnocchi. For the sauce, I recommend roasting the cauliflower and making this almond sauce. Gluten-free: Use your favorite blend of flours or a pre-mixed 1:1 flour blend. 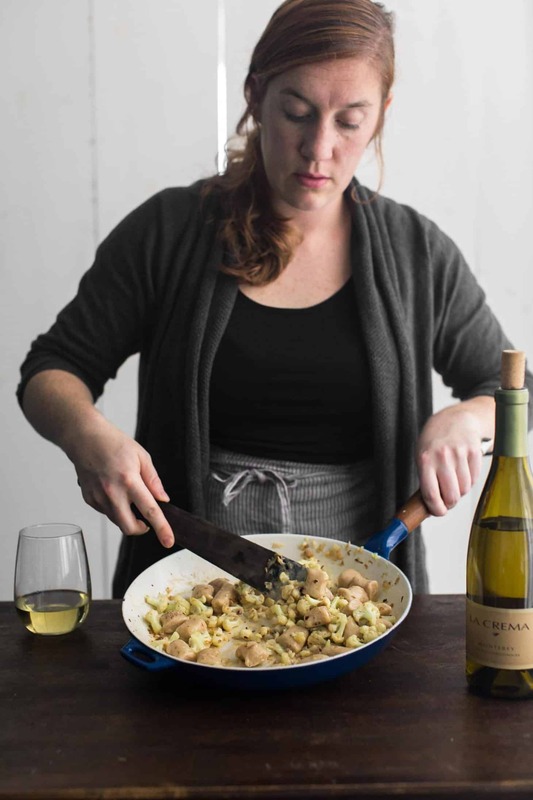 This white bean gnocchi dish sounds mouth watering. I would love to try it with the brussels sprouts with cream sauce. I am so happy to see this recipe. I will need to tweek it a bit, as I have a gluten allergy. Not shade allergies are hard to deal with. I love gnocchi, seems like everything I love has potatoes, tomatoes or a green pepper in it. Completely delish! Gotta try this! Oh my !!! I love gnocchi and would have never even thought about using white beans! I absolutely love it. Can’t wait to try this out! This looks like a fabulous way to sneak in some beans. 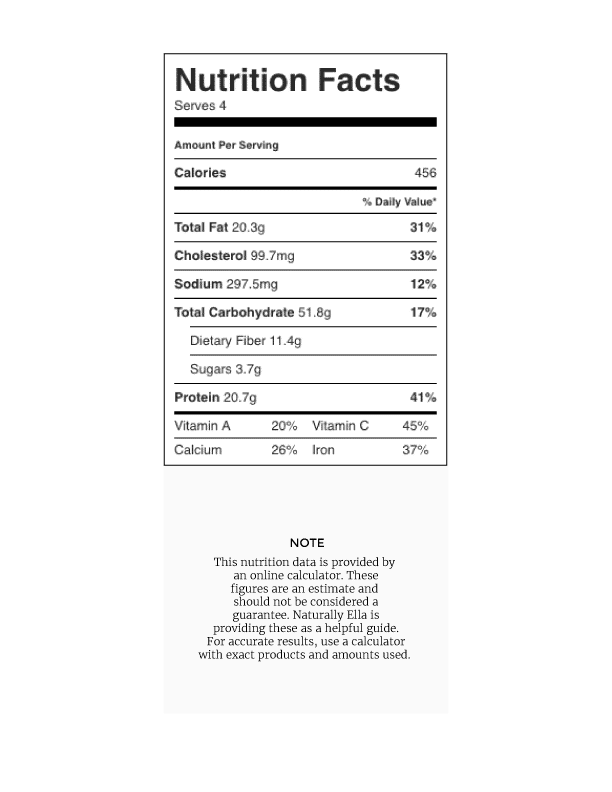 Could you suggest an alternative to the heavy cream? If you were still okay with cheese, I might recommend a mascarpone or goat cheese sauce. Or you can check out the vegan variation- I love a vegan almond cream sauce. Such a different take on gnocchi! Looking forward to trying it out! Looks amazing! Will the gnocchi dough hold overnight in the refrigerator? I think it should- you might want to cover it with a damp cloth so that the dough will not dry out. Hi, this looks great! Can you explain what you mean by only cooking half the gnocchi? Are they meant to be cooked in batches? Correct- I updated the wording a bit to lessen confusion! This is absolutely AMAZING. I have been following you for a few years now and this may be my favorite thing I have made thus far. Delicious, easy to make, and affordable ingredients. Perfect. Thank you!